Give your knees some relief. 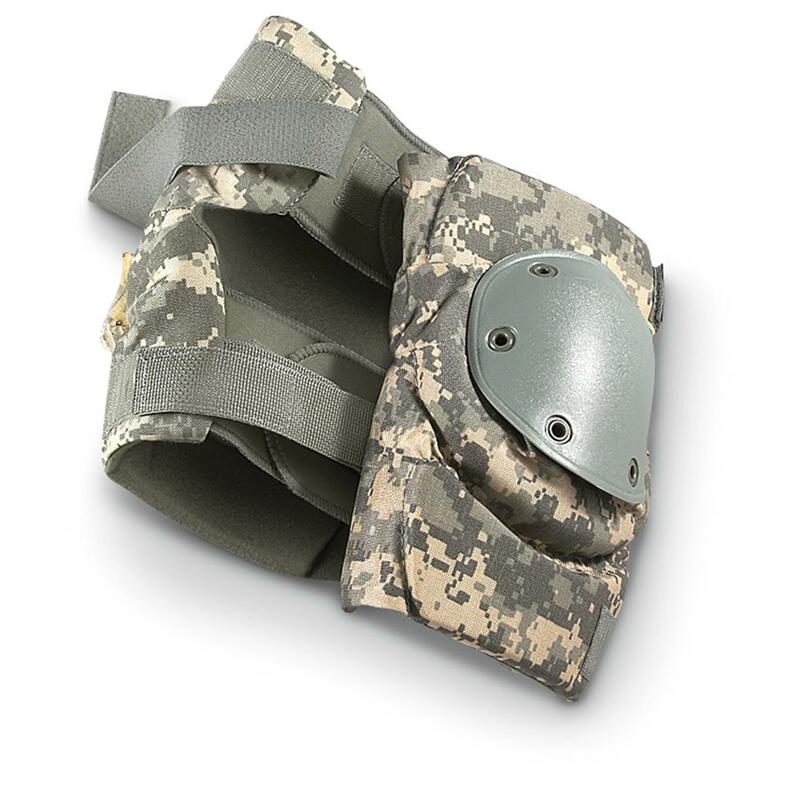 Invest in these U.S. Military Surplus Knee Pads for comfort and protection while shooting from a prone position at the range, cleaning floor tile, laying carpet, and more. Decked out in recent U.S. military Army Digital camo pattern. U.S. Military Surplus Knee Pads, New is rated 5.0 out of 5 by 5. Rated 5 out of 5 by Mikie from knee pads. Great price and shipping, heavy duty and will definitely help my knees when working on my knees . Rated 5 out of 5 by ROC from Awesome, I had a knee replacement ad these are awesome! Rated 5 out of 5 by MICHAEL from The Tactical Kneepads are great...but I wish I'd ordered a size smaller. But absolutely no problems with the high quality. Thanks. Rated 5 out of 5 by JUSTIN from These are very nice and comfortable. I have tried many knee pads for construction, and never found something comfortable, but these are leaps an bounds better! Rated 5 out of 5 by KIM T from Perfect for my needs!! Don't dig deep for 2 quality Shovels. Complete Set: Jacket, Pants and Hat. Are there any land mines in your backyard?